One of my hobbies is to play tabletop wargames. 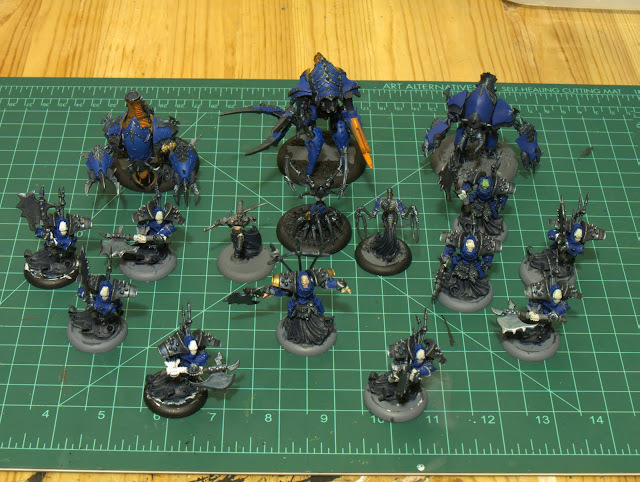 In addition to actually playing games against people, another important aspect is building and painting the (often intricate) models that make up your army. 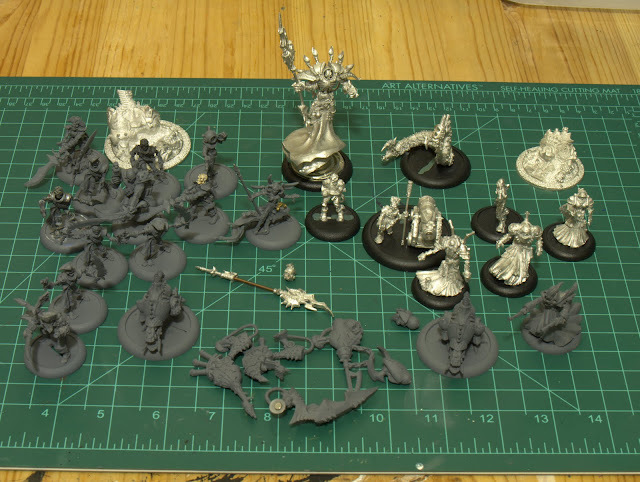 The main game I play at the moment is Warmachine, in which I play the evil undead faction known as Cryx. I’m going to start posting here about minis, and to start off, I’m going to show the current paintedness of all of my figures. I am particularly pleased at how my fire/lava effects came out looking MUCH better on these figures than any of my previous ones. This is thanks to me getting a couple of bottles of Formula P3 red and yellow inks. 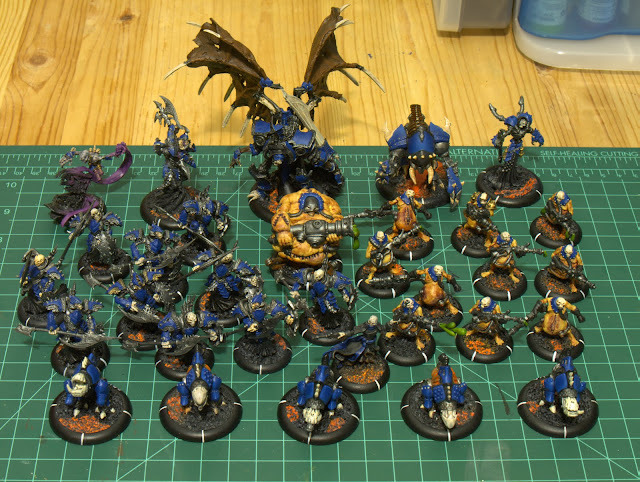 Look forward to further updates as I am currently involved in a challenge to get a large (75 point) army fully painted by the end of September. I also have a few Gatormen which I hope to turn into a small Blindwater Congregation Minion force for Hordes, the Warmachine companion game, and I am looking at getting into Infinity, a sci-fi skirmish game by another company. You are currently browsing the Home of the Ghostlords archives for April, 2011.